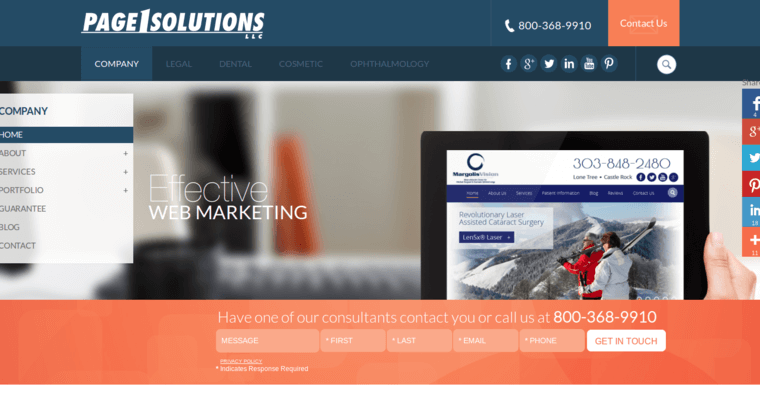 Dental professionals can count on the experts at Page 1 Solutions because they have the data and technology to optimize their client's websites to rank on the first page of web queries. Their staff work in a variety of fields including search engine optimization and brand marketing. They create an efficient strategy that helps their clients build access to the people closest to the business to increase profits and community outreach. They know how to use geographic terms that are relevant to their neighborhood with local street names, current news stories, and road closures. They use content that is meaningful to patients to help them make an informed choice to get dental check-ups. 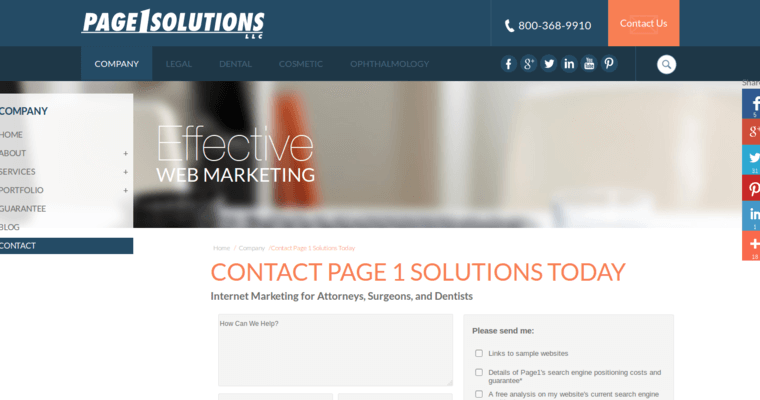 Page 1 Solutions work until their client knows how to stay at the top of the list. Their staff have creative answers for every dentist and know how they can stand out from other providers in the area.